Will your mobile network still let you roam for 'free' after Brexit? Is peer-to-peer lending now riskier? TV licence fee rise - who needs one? A message from Martin: It's cold. Energy use is up, and so are prices. On Thu at 7am, Ofgem will announce the new price cap rate to be in effect from 1 Apr. It's likely it will be UP around 10%, meaning 40% of the population still on Big 6 standard tariffs will see costs rocket. So we've launched The MSE Winter Energy Switch, our 13th collective switch, where we lever our huge user base, 10m+ email recipients and 3.8m Energy Club members to get firms to provide special tariffs. The Holy Grail is deals CHEAPER than the open market cheapest, and boosted customer service. And it's been a while, but we've managed to do it this time and in a number of categories. UPDATE 7 FEBRUARY: Regulator Ofgem has revealed the cap will rise to £1,254/yr for a typical user, meaning a potential hike of £117/yr from 1 April for a typical household on a standard tariff. We have winners in 4 categories, we pick them based on price and service. The collective runs until Fri 22 Feb, but some winning tariffs will likely run out sooner. IMPORTANT: Collective switch rules mean you must go via our Cheap Energy Club comparison (all links do) and have been a member of either our Cheap Energy Club or the MSE weekly email list (on the same address) by 5 Feb.
1. 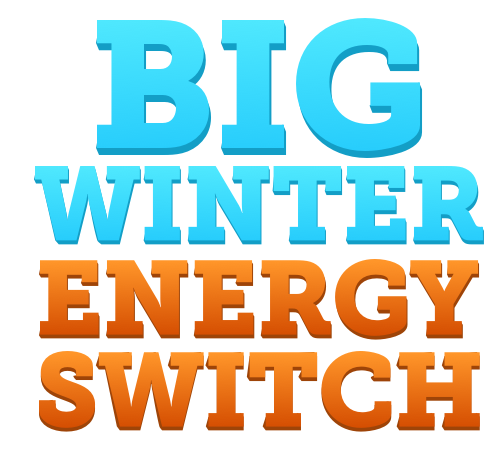 MSE Big Winter Switch Event Winner: Cheapest 1yr fix (and is 100% renewable elec). Only 5,000 available. Green Network Energy - £967/yr for typical usage, incl MSE cashback + enhanced MSE service. Our first winner is this GNE MSE Exclusive Green 12mth Fix v2, which, factoring in the £25 MSE cashback, is not just the cheapest fix, but the cheapest overall tariff. As it is fixed the rate is locked in for a year (not the price, that varies with your usage). It's a dual-fuel (incl Eco 7), monthly direct debit tariff, for new customers on paperless billing. You can't take it with you if you move home. GNE is a mid-sized firm, with 240,000 custs, owned by a large Italian energy firm. We've run past deals with it before and they've gone well. Its customer service rating is a healthy 69% 'great' in our last poll (though from only 52 votes) and it's agreed to MSE enhanced customer service, basically meaning if it doesn't sort an issue for you, we can get involved. 2. MSE Big Winter Switch Event Winner: Cheapest Big 6 fix & longer 16mth fix. Only 13,000ish available. EDF Energy £999/yr on typical usage, incl MSE cashback - existing EDF customers can get it too. The special MSE EDF Simply Fixed Jun20v2 is good for anyone wanting a name they know. It's the cheapest Big 6 deal on the market and the rate is locked in until 30 June 2020 - giving you longer rate certainty (not the price, that varies with your usage). It's available dual fuel, elec-only, incl Eco 7, for new AND existing customers (so it's a no-brainer for anyone on an EDF standard tariff) and you can pay monthly direct debit or via cheque/cash (though that's costlier). Plus you CAN take it with you if you move home. EDF is the highest-rated Big 6 customer service provider from our polls, yet it's still only 42% 'great'. There are 25,000 'fuels' available, so as most switches are dual fuel we estimate that's only about 13,000 switches in total. 3. MSE Big Winter Switch Event Winner: Cheapest two-winter fix and it's a Big 6. E.on £1,037/yr on typical usage, incl MSE cashback - existing E.on customers can get it too. The E.on Fix 2 Year MSE Collective Feb 2019 tariff is the cheapest longer fix on the market, giving you rate certainty for two winters, ie, until roughly the end of Feb 2021 (not the price, that varies with your usage) - useful for anyone who doesn't want to switch too often. It's available dual fuel, elec only and eco 7, for new and existing customers. Existing E.on customers who switch to it won't be charged any early exit penalties. You can pay by direct debit or via cheque/cash (though that's costlier). Plus you CAN take it with you if you move home. E.on's customer service is the third best of the Big 6, then again that's only 35% 'great', according to our polls. Technically this isn't part of the collective, but if a top service rating is what counts, then the Bulb Vari-Fair tariff is right up there. And until Wed 13, use that link (which goes via our Energy Club) and you get £30 bill credit from Bulb (up from the original £25), plus the usual £25 MSE cashback. Factor those in and over the first year, it's the cheapest variable deal on the market, and it's 100% renewable electricity. Plus if you're charged exit fees to leave your existing supplier, it'll cover them up to £60/fuel. Yet the fact it is variable means you must accept the rate can change at any time (after 60 days' notice), and indeed it has moved prices up over the last year, but even with that it remains competitive. And there are no exit fees if you want to leave. It's dual-fuel only and you must pay by monthly direct debit and get paperless bills (or there's a prepay version for a little more). Plus you can't take it with you if you move home. Bulb has grown hugely over the last few years, it now has more than 800,000 customers and is becoming a true challenger to the bigger players. 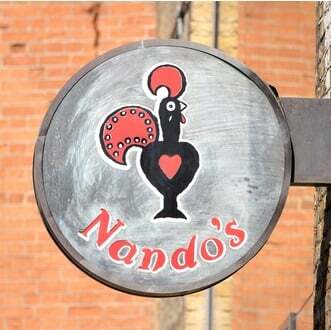 Its customer service rating is a very strong 76% 'great'. 5. On a Big 6 standard tariff? SAVINGS may be UNDERESTIMATED. Since 1 Jan, there's been a price cap in place for all standard tariffs. It varies by region, but was set at an average £1,137/yr for someone on typical use (more if you use more, less if you use less), but that only lasts until 31 March. On 1 April a new rate will come into place. It's being announced this Thu 7 Feb, yet as the algorithm is published and it's based on wholesale rates, we estimate it'll be £1,240ish/yr and most firms will move to that. While we've factored that in above (hence our £1,220/yr price, which takes the current and future price cap into consideration), we are not allowed to use that figure in our Cheap Energy Club comparisons and can only display it based on the current price. So it's likely your savings will be substantially underestimated. Here's a quick Q&A, for many more see the full Cheap Energy Club FAQs. Q. I live in Northern Ireland, can I get these deals? Unfortunately not, these are for Eng, Scot & Wales only. No UK comparisons include NI, but see Cheap NI Electricity or the Consumer Council for Northern Ireland's tool. Q. Does MSE make money from this? Yes. Like all energy comparison sites, we're paid each time you switch through us, yet we give you about half (that's £25 dual-fuel, £12.50 single-fuel cashback). Q. What info do I need to switch? It's best if you have a bill and input kilowatt hours (kWh) into the Cheap Energy Club, rather than cost. But don't worry if you don't know your usage, the tool can guesstimate for you. While the answer won't be perfect, the sin of inaction is bigger than the sin of inaccuracy. Switching with smart meters | Why's price risen when I'm fixed? | Reclaim credit | Switching in debt help | Switching if I've solar panels | How direct debits are set | I've an independent gas transporter, can I switch? | Can I pick a switch date? | How do you compare my rates? Over to Martin: "This week it's all about how to boost your savings - cash ISAs, bank accounts, top fixes, paying off your mortgage, peer-to-peer, Help to Save and more. So whether you've a few pennies or a wodge of pounds, it should be an interesting (geddit) watch. "And if you missed last week's show with tips on how to enter competitions and win, and whether equity release stacks up, you can watch it on the ITV Hub." Free £37.50 to spend at Sainsbury's. 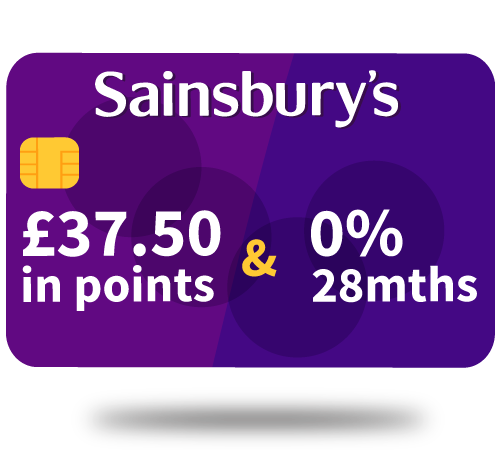 Accepted new Sainsbury's Dual Card (eligibility calc / apply*) customers get 750 bonus Nectar points (worth £3.75 to spend at Sainsbury's, as each one is worth 0.5p there) for every £35+ spent at the supermarket in the first 2mths. That's up to a max 7,500pts via this promo, worth £37.50 if redeemed in Sainsbury's - on top of the normal 2pts per £1 spent at Sainsbury's (1pt per £5 elsewhere). To max it, just do your normal shopping there (it's not an excuse to overspend). 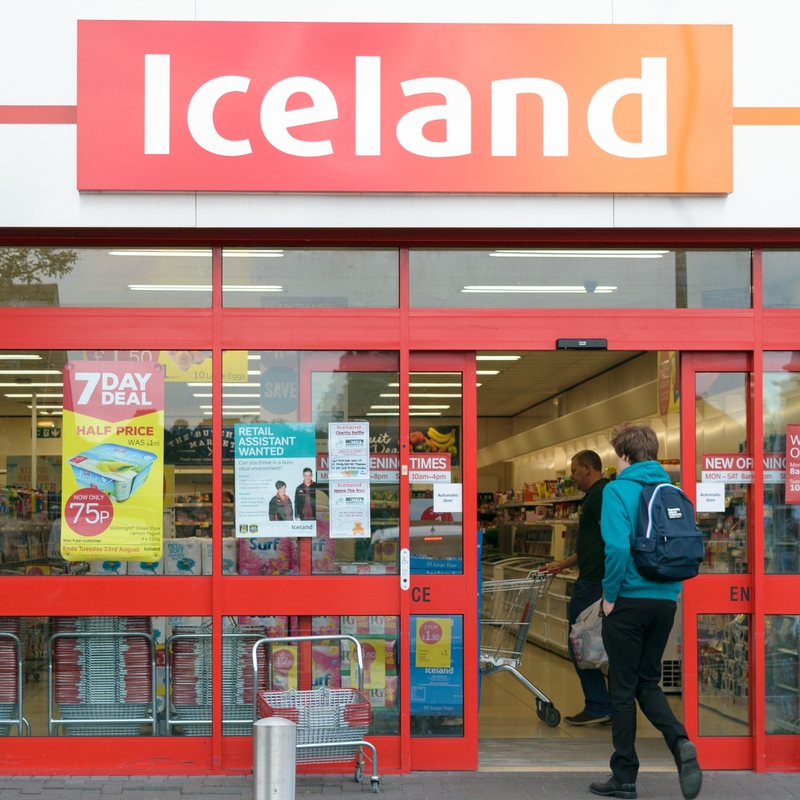 You'll need to do 10 spends in the time, but an easy way round this is to split your shopping, eg, if spending £110, put it through as £35, £35 and £40 - each gets 750 bonus pts. But you may get a few looks if there's a queue. For full info and more deals, see Credit Card Rewards. If you are just doing this for the freebie, simply pay the card off IN FULL each month so there's no interest. You could also cancel it once you've got the freebie (or keep spending on it to get the rewards if you regularly shop in Sains). It's also the joint-LONGEST 0% card. A 0% spending card is one that allows you to borrow on it whenever you need to and pay no interest for a set time. While cheap, it's dangerous to just borrow willy-nilly. 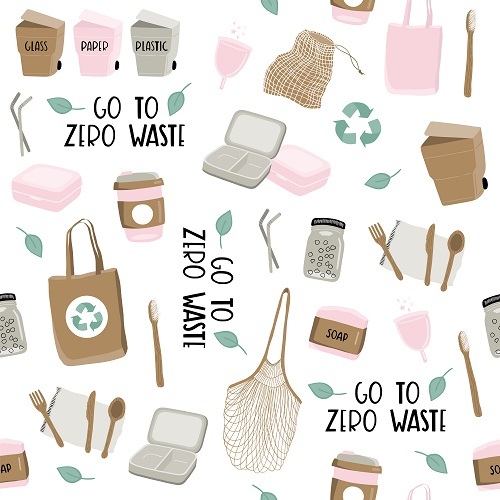 If you're only using it for the 0% period, we strongly suggest you use these cards for budgeted, one-off borrowing, where you plan and can afford the repayments (eg, replacing a faulty fridge). Do it wrong and you'll get burnt. The Sainsbury's 0% period is the joint-longest 0% spending card, though as it's an 'up to', some with patchy credit scores could be offered 25 or 22 months. 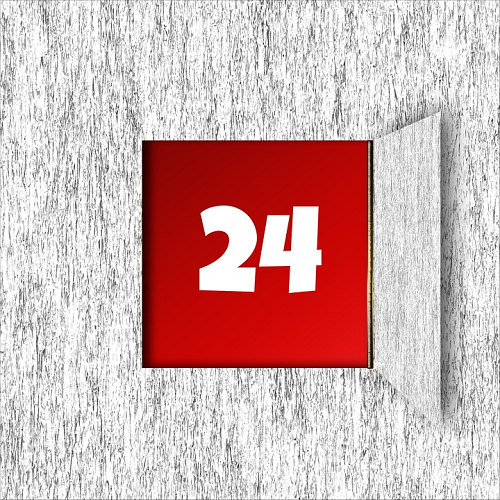 If you prefer a card that definitely offers the full 28mths 0% if accepted, try Post Office (apply) or Virgin Money (apply). Full info and more options in 0% Spending. The Sainsbury's card also lets you shift debt to it for up to 28mths 0% for a 3% fee (min £3), which isn't bad, but see Best balance transfers for stronger alternatives. Will applying hit my credit score? 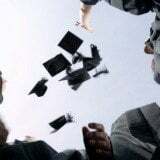 A full application leaves a mark on your credit file, which is trivial unless you do lots in a short time or are about to make an important credit application, eg, a mortgage. But use our free eligibility calc to see your chances of getting the Sainsbury's and most other top cards, without affecting your score (though we can't check Post Office or Virgin). 0% Card Golden Rules. Full info and top picks in 0% Spending Cards (APR Examples). a) Always pay at least the set monthly minimum and don't breach the credit limit or you can lose the 0%. b) Plan to clear the card (or balance-transfer) before the 0% ends or rates jump to 18.9%-20.9% rep APR. c) These cards are usually ONLY cheap for spending, so avoid cash withdrawals or balance transfers. New. Top 1yr 2.1% fixed savings - the best we've seen since Aug. If you're happy to lock away cash for the year, Aldermore* now pays a fixed 2.1% AER (min £1k). Full info and more deals in Top Savings. Will your mobile network still offer 'free' EU roaming after Brexit? See Roaming alert. Valentine's Day deals, incl £20 for 12 couriered roses, £3.50 mug, £1.49 personalised card. The week before (ie, now) is the big one for offers, but don't overspend. See all Valentine's Day deals. Free £100+. Now SIX banks pay you to switch. This fine harvest won't last long (it was seven deals and one ended last week). Top picks include NatWest/RBS free £150 + 2% cashback | First Direct £125 + top service | HSBC free £150. For a full breakdown, see our Best Bank Accounts guide. Is peer-to-peer lending riskier with Brexit? It looks like savings but smells like investing. If you are considering putting money in, or have done, it's worth knowing the risks, especially with Brexit looming. See Peer-to-peer help. If you pay, or have paid, for a packaged bank account - where you pay a monthly fee for extras incl travel, mobile or breakdown insurance - you may be owed £1,000s. These accounts can be good if you need the insurance and can't find it cheaper elsewhere, but they have also been mis-sold on a large scale. Our reclaim tool, built with complaints specialist Resolver, can help you get your money back quickly and easily. Do you need a packaged bank account? The key is whether you need the insurance and whether you can get it cheaper elsewhere. If the insurance is right for you, think of the costs yearly, so £15/mth is £180/yr. That makes it easy to compare against annual insurance costs. Cancel NOW if the account is not worth it. Then switch to a fee-free account and earn up to £150 upfront for doing so. Doing this doesn't affect your claim if you were mis-sold. 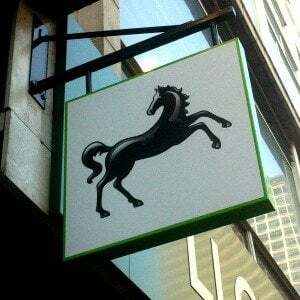 See Top Standard Bank Accounts. Check if you've been mis-sold. Banks needed to check cover was suitable in the first place. If you weren't eligible for the insurance (eg, you were too old for travel insurance), you were wrongly told you had to have your packaged account, or you were "upgraded" without your permission, then you were mis-sold. 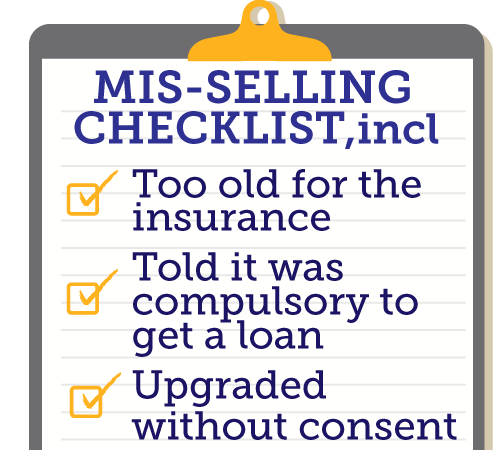 See the full mis-selling checklist. If you were mis-sold, it's easy to reclaim for FREE (never use a claims firm). Our Packaged Bank Account Reclaim tool merges our template letters and experience with Resolver's technology. Enter your details and it helps draft the complaint, sends it, keeps track and escalates it to the ombudsman if necessary. Should you equity-release? Martin's 5-min guide. If you own your home, you could borrow some of the cash locked in it. There was a 30% rise in this type of lending last year. Is it for you? 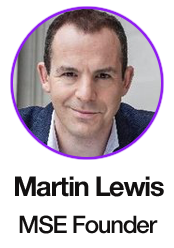 See Martin's Equity Release guide. TV licence fee to rise in April - who needs one? Rules have changed, so more do now. Do you need a TV licence? Bargain weekend break finder, eg, Nice for £69pp. New weekend-specific comparison tool finds cheap flight and hotels combos. Is it any good? See weekend break finder. New. eBay selling tricks, incl wait till March if listing heaps. The biggie is online goliath eBay, so we've 40+ eBay Selling Tricks to help, eg, end listings at the right time and use cheap fee weekends. 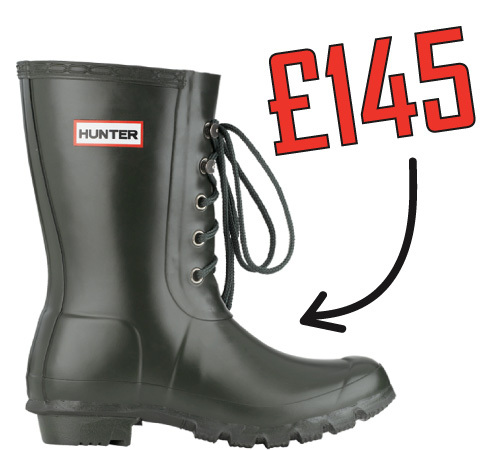 As forumite Hime found, one person's trash is another's treasure: "I sold a pair of Hunter wellies someone dumped outside my sister's house. They were high-heeled lace up things and spotless. I put them on eBay and got £145." If selling lots of stuff, be aware you can currently list 20 items a month for free (though eBay takes 10% of the final price). But from 3 Mar, this is boosted to 1,000 items. Sell for FREE on Facebook. Facebook is fast taking over from eBay as the place to sell and there are NO fees. Our Facebook Selling Tips guide includes what to sell on Facebook vs eBay and safety tips. New. 10 tricks to make a mint at car boot sales. If you love the atmosphere of a car boot sale and/or fancy making some cash from one, we've tips on when to go, what to take, how to haggle and more in 10 car boot tricks. Flog old mobiles for up to £500. While you normally get more on eBay, it's usually easier via mobile-reselling sites, eg, £485 for a 64GB iPhone X. Plus specialist sites often test them & sell them on in the developing world at reasonable prices. See how to sell old mobiles. What will charity shops accept? As we've said, many charity stores have seen a surge in donations, and if you want to get in on the act too, first check what charity shops will actually take. "Thanks to you I just called the Student Loans Company and have been told I'm due a refund of over £500 - not bad for a five minute call." Which stores' gift cards do you value most? Imagine a friend offered to sell you a perfectly valid £100 gift card which doesn't expire for two years - what's THE MOST you would be willing to pay for it? Which stores' gift cards do you value most? Remainers and Leavers are split over how Brexit will affect their personal finances. Last week, we asked how you think Brexit will affect your finances - over 8,800 responded. Perhaps unsurprisingly, MoneySavers who voted remain were more pessimistic, with 74% believing they'll be worse off, compared with just 21% of those who voted leave. Few of any persuasion expect a Brexit boost to their wallet though - only 17% who voted leave and 3% who voted remain think they'll be better off. See full Brexit poll results. - Family, marriage, relationships chat: Getting married... prenup? MSE Tony's A: The simple answer is no. Even if you claim after renewal (say, if the accident happened the day before), you can make the claim with the original insurer and switch to any insurer you want afterwards. Whether you claim or not, you must still declare the incident to your new and existing insurer. Be warned that it could put the price of the renewal up compared to what it would have been had you not had the incident. This makes it even more important to do a full comparison before getting a new policy, to ensure you get it as cheaply as possible. See our Cheap Car Insurance guide for how to bag the best deal. POP THE QUESTION FOR JUST A QUID? That's it for this week, but before we go... "I'll go £200", "It's looking like a 20p machine ring to me", "Let's meet in the middle... £500". That's just some of the reaction MSE Jordon got when he asked the public how much they thought Poundland's £1 engagement ring costs. But do you agree with them? Check out the video and let us know.